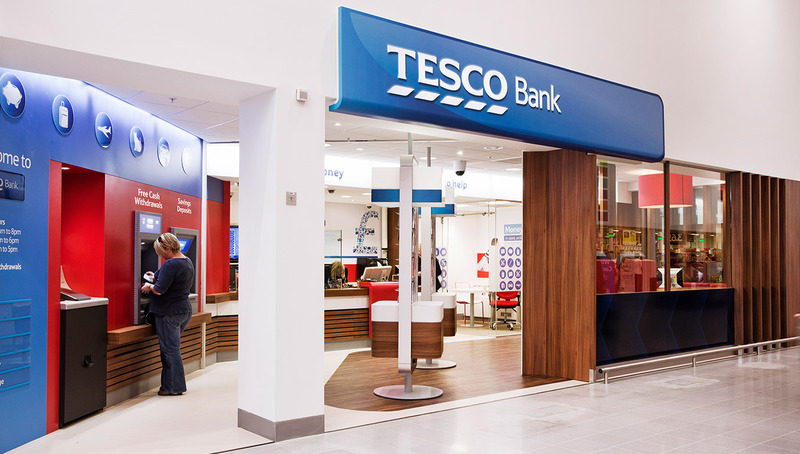 Bringing Tesco's values to life. 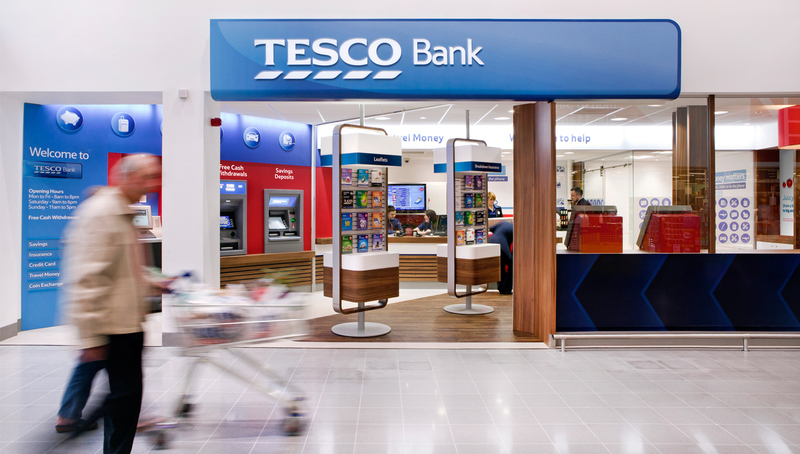 From our work on the main Tesco store experience, we knew that Tesco’s banks should have the same human touch as the main brand, but with an added sense of seriousness and professionalism. 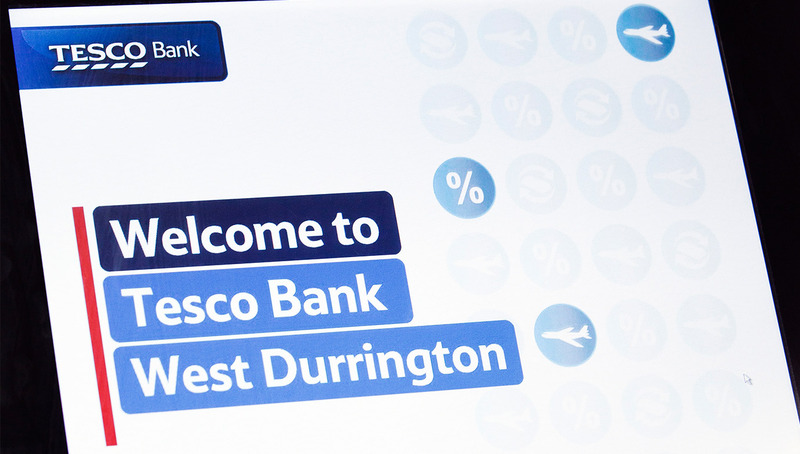 We began by analysing the needs and expectations of the target consumers, and incorporating these learnings into the development of communication principles for the refreshed brand. 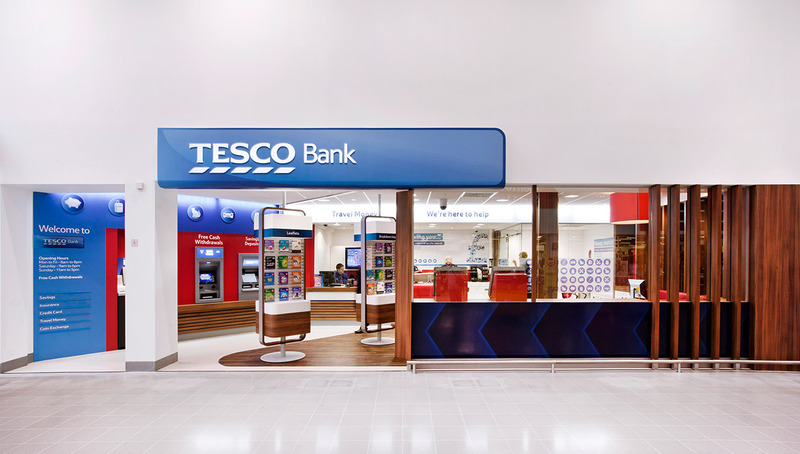 Our design philosophy of “Confident, Clear and Helpful” considered how the visual style of Tesco Bank would sit alongside that of the main brand. 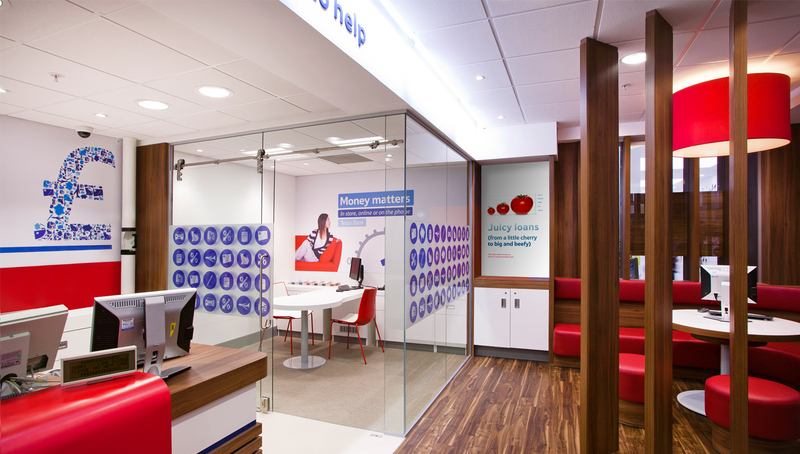 After creating a new visual identity and communications style, we then turned our attention to the branch environment. 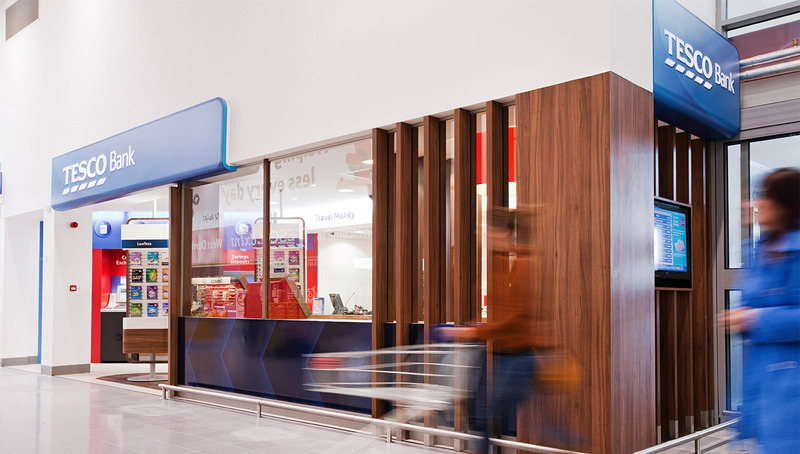 The zoning principles allowed for different self-service and assisted missions, creating clear transaction and consultation zones, with simple, reassuring and informative in-branch messaging. 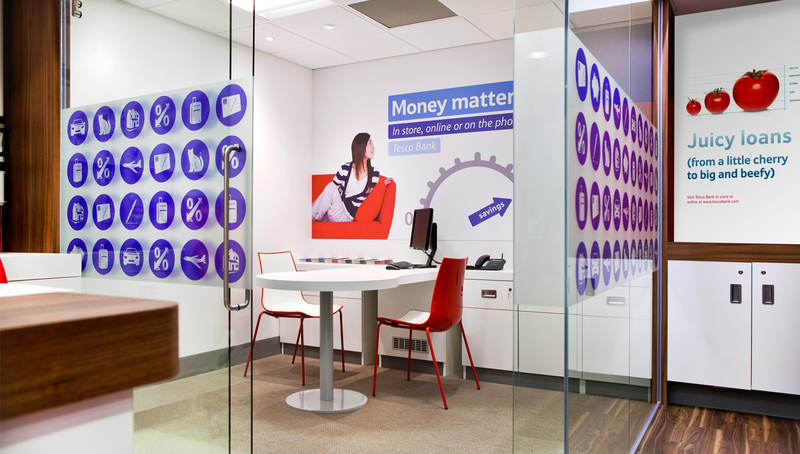 The branding was also applied to various touchpoints around the entire store, including the ATM wall, to promote the various financial products.